The Catholic world deals with the issue of Islam above all from the viewpoint of interreligious dialogue. 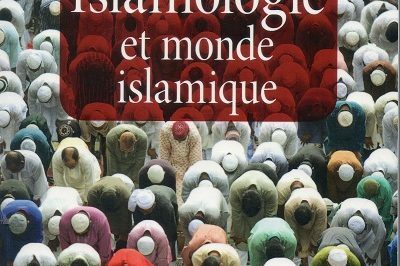 The mounting presence of Muslims in countries of longstanding Christian tradition, however, makes it necessary to examine the Islamic world also from the strictly social and political viewpoints. This is something different with respect to the perspective of interreligious dialogue, but not at odds with it. In order to do so, Catholics will have to avail themselves of the Catholic Doctrine of the Church which is therefore faced with a new task; the task of examining the political dimension of Islam and assessing it not only with respect to the political vision of the Christian west, which may embody elements somewhat different from Christianity, even though somehow stemming from it, but also with respect to its doctrinal corpus. Useful to this end may well be this book written by a renowned expert able to delve deeply into the contents of the religion of Muhammad. Available on the market, in fact, are books and articles that are not always reliable, and often the outcome of good journalism at the most. What we have in the case of this book, however, is a truly scientific text. The book is divided into four parts. The first of these is dedicated to fundamental data and clarifies the sense of “letter” in Islam, the notion of human person and the nature of Islamic morals. The second part tackles several particular features, such as the family, economy, politics and ideology. Likewise dealt with in this section are the issues of terrorism and laicity, as well as the concept of human rights in Islam. The third part addresses the relationship between Islam and Christianity, and dialogue between them. Important in this part is the chapter on Benedict XVI’s lecture in Regensburg delivered in 2006. The final part focuses on several outstanding cultural features. In this review we will make an effort to bring to the surface some aspects of special interest regarding the confrontation with the Social Doctrine of the Church. The term Shari’a, or Islamic law, is now well known in the western world, and some of its principles have by now been included in the legal systems of many western countries. This term is often interpreted in an evolutionary way, and not a static one, as if there was no Islamic law ever the same, but an Islamic law becoming in history. In this regard, Ms Urvoy concludes her very interesting considerations by explaining how a “return to the Shari’a’ is possible today (pgs. 17-21). In Islam, in fact, there is a rationale according to which what is unknown has to be traced back to what is known, that is to say what is revealed or defined by traditional consensus. This is the reason why the Egyptian Constitution of 1923 used these words: “Islam is the religion of the State and Arabic is its official language”. No mention at all of the Shari’a. This wording was amended in 1971 to read as follows: “The principles of the Islamic Shari’a are essential sources of legislation”. Then, in 1982, the text was amended again, stipulating that the Shari’a was “the essential source of legislation”, and hence the only source. Efforts to deepen what the Shari’a actually is always reach the conclusion that it is nothing other than the Koran taken literally. This is understandable because the Koran is the word of God, and what God says does not need to be specified insofar as being clear in its own right. Koranic revelation is uncreated and Arabic itself is the language of God, and hence a sacred language consubstantial with God, the language He used to speak to the Prophet, a language sub specie aeternitatis. This is an important observation from a political viewpoint because it refers to the literal dimension of the sacred book “dictated” by God, and which immediately becomes political, stipulating precepts to be obeyed in daily life. There is no distinction between sacred and profane in Islam. The concept of person in Islam. Quite enlightening as well are the considerations regarding the concept of person in Islam (pgs. 23-44). The Christian concept of person is Trinitarian in nature and was translated as such also in the philosophical concept and in western culture. For Islam, however, the adjective ‘personal’ can never be attributed to God, because “the God of Islam is situated in an absolute dimension that impedes the matter from even being raised” (pg. 24). Some authors have spoken about a “personalist” dimension in the Koran and in prophetic tradition, arguing that the person as such would be emancipated from the tribe and situated in the Umma, in a transcendent community that projects traditional belonging. Moreover, the person would be rendered responsible insofar as having to stand all on his own in the face of divine judgment. Ms Urvoy, however, observes that the word ‘individual’ only appears twice in the Koran, that being ‘alone’ before God evokes not necessarily a virtue, but rather a weakness, and that the word shaks indicates something that appears, something much akin to the original sense of the Greek word prosopon which later assumed quite different meanings. According to Ms Urvoy, the fact that there is a God who speaks to the faithful generated a certain degree of philosophical interest regarding the issue of ‘person’, but Islamic philosophy didn’t’ really have much of an influence in the Islamic world, and thus developments relative to ‘person’ stemmed from mysticism and from the ‘law’, which gave primacy to community over person. Islamic morality also includes taqiyya (concealment or dissemblance ), whereby believers are dispensed from obeying the rules of their religion due to overriding need or in the face of danger. Chapter 11 in Part II deals with the notion of community in Islam. After the hegira, Muhammad wrote the “Constitution of Medina” that transformed the tribal bond into a new community (Umma). One of the oldest hadith says: “I received the order to battle against men until they will say: No God other than Allah” (pg. 144). A martial confederation was created. The members of the Umma are the believers, the ‘trustworthy ones’, and it therefore has a religious significance rendered possible by Allah, who becomes the guarantor of the pact established by Muhammad. At its very beginning, the Constitution of Medina states that the Umma is a single community with the exclusion of all others (pg. 146). Adhesion to Allah makes it exclusive and permits the jihad, the common war: “the war on the pathway of Allah”. Casuistic legislation also permits punishment to be avoided if the victim is extraneous to the group. The Umma is fraternal solidarity with a religious tone, and the name itself comes from umm: mummy. The participants are brothers is an exclusive manner. The commentator al-Razi says. “No fraternity except among Muslims”. This fraternity, for example, had repercussions regarding inheritance: in infidel cannot inherit anything from a Muslim. In addition to this meaning of exclusivity, the Umma also had a special meaning: “You are the best community ever created by men; you order good to be done, despise evil, and believe in God” says the Koran. The foundation of the Umma is the Book, the eternal and unchangeable Koran that bestows it with an intense sense of belonging. The situation is quite different compared with that of the Church for Christians. For example, the Umma is a juridical state directly willed and decreed by God” (pg. 148). This is where theology turns into juridism, a juridical order that make Muslims “a cohesive community aggressive towards all those extraneous to it”. It has the value of being absolute and superior to anything else on earth – the best ever created by men” – and assures concrete rewards in paradise that heighten the awareness of believers. This explains why voluntary abandonment of the community is a capital offense (pg. 149) insofar as the Shari’a corresponds to public law and order. Each great sin may be forgiven, but this one deserves capital punishment and condemnation for eternity. It is forbidden today as well for a Muslim to convert to another religion. Proof of the Umma’s cohesive bond is the dar-al-islam, which means all the lands where the Shari’a is observed (pg. 150). This has to be understood from a political point of view, and linked to it is the dar-alharb made up of all the lands to be conquered through the jihad. It is not just a matter of personal conversions, but global respect for the rights of God set forth by the Koran and by Muhammad, His prophet. The dignity of man as such derives from divine will. Koranic law distinguishes between men and women, free persons and slaves, Muslims and non Muslims. This bestows a very privileged meaning on the community of believers. There is a complete definition of Umma on page 152 of Ms Urvoy’s book. It is also important to say it is a territorial fact: it abides in lands, “the lands of Islam”; it lives in a house, “the house of Islam”; has six holy cities, the first of which are Mecca and Jerusalem; lives around mosques with minarets reaching towards heaven as symbols of the One who also founds the oneness of Muslims; becomes manifest in the muezzins’ daily calls, pilgrimages, feasts and prayer (pg. 152). Therefore, the Umma has to do not only with religion, but also with politics, society and the economy. “Ontologically speaking, the Umma is Islam”. It foreshadows the community renewed by the pre-eternal pact of God and lets itself be brought together in the unity of one and the same submission to its Master and Lord. The situation is quite different today, but submission to transcendence is the common trait. The holy cities are different cities but are all “cities of Allah, the Koran and the Law” (pg. 152). Hence the trend to include in national constitutions the fact that Islam is the State religion, and not just the religion of the State. Work on codifying the Shari’a began back in the 1970’s, and Islamic law has now been embodied in the legal systems of all the Arabic or Islamic countries. The attitude towards the economy changed back in the 1980’s when loans granted by banks were no longer considered usury, something forbidden by Islam. Then the issue of the veil arose. The division among Shiites, Sunnites and Kharigiti took place after Muhammad died, and they were at odds over the issue of the caliphate, the supreme head of Islam. The seat of the caliphate was in Damascus, Cordova, Baghdad, Cairo, and, as of 1512, in Istanbul, where Mustafa Kamal decreed its end in 1924. The Koran says: “Obey God, obey the prophet and those among you who have authority over you”. The Umma is both the community subject to the caliph and the local community, the community at large and a part of it. This complicates the situation of power in Islam, especially in relations between religious authorities and political power since there is no clear distinction between sacred and profane in Islam. “The Koran contains the individual and collective precepts known as the selfsame word of God” (pg. 171). 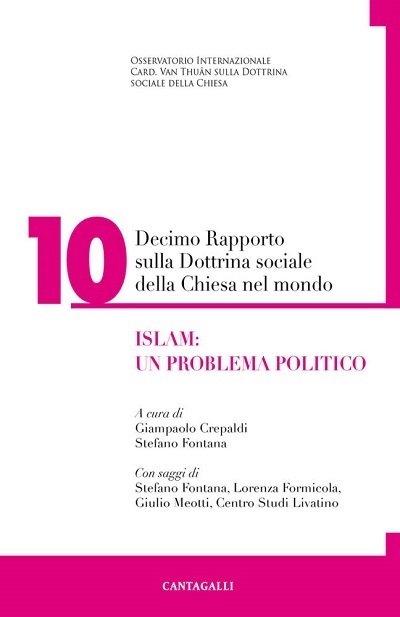 Quite interesting is the chapter in Part III that deals with Benedict XVI’s lecture addressing the subject of the relationship between faith and reason in Islam (pgs. 335-347). Benedict XVI referred to Islam twice in that lecture. The first time was when he said that a Christian author had taken his Muslim counterpart to task for wanting to defend his faith with the sword. This has to do with the burning issue of the jihad or holy war. Ms Urvoy’s lexical analysis of the Koran leaves no doubts that verse 23 of sura IX speaks not about spiritual combat, but physical and martial combat (pgs. 335-336). The second time was when the pope said: “for Islamic doctrine on the contrary, God is absolutely transcendent. His will is not linked to any of our categories, perhaps not even that of reason”. And this is why “God is not bound by His own word and nothing obliges Him to reveal the truth to us”. If this were to be His will, man should practice idolatry”. What is the place of reason in Islam? Does it have an instrumental value for “understanding” the word of God, and this also when reading the ‘signs’ of creation?. Reason is never looked upon as an arbitrator or a reference in its own right (pg. 337). Islamic tradition went through phases of “rationalism” such as that of Mu’tazilism which argued that through reason man is able to know the existence of God and fundamental moral principles. This was condemned by Sunnite orthodoxy, and the constituent and instrumental vision of reason was denied. It is looked upon as a logical requirement, while rejected is any fundamental role it could have in ethics: “In the Islamic world, ethics is necessarily considered to fall into the juridical categories of what is obligatory and what is forbidden, what is recommended and what is reprehensible (the category of licit is none other than the mere remnant) and everything is sanctioned by either punishment or reward” (pg. 339). Nothing is compulsory from the viewpoint of reason. Compulsory of obligatory is only what has been declared so by a higher authority. The Muslim philosophy of a-Gazali (XI century) had a vision of reason that rejected this type of theodicy, but “the philosophy developed later in Islamic Spain was to have no influence on the rest of the Islamic world” (pg. 340). Recalled regarding the jihad is the saying “no contrast in religion” in sura II. It has been amply ascertained, however, that this dates back to the initial period when Muhammad had no power and was being threatened (p. 345).